Former slaves on a plantation in Beaufort, South Carolina, 1862, courtesy of the Library of Congress. Experiences varied significantly for newly free slaves across the U.S. South. In parts of the South Carolina lowcountry and in southern Louisiana, some slaves tasted freedom with Union occupation as early as 1861. In other parts of the South, emancipation accompanied the movement of the Union army across the region, or awaited the end of the war in April 1865. As late as September 1865—a full five months after Confederate surrender—federal authorities reported that they were still coming across men and women in the rural southern interior who were unaware that they were free. Many freedpeople were aware of the formal change in their status, but noticed little substantive change in their day-to-day lives. As early as the spring of 1865, former slaves on the sea islands of Georgia and South Carolina had taken possession of the plantations abandoned by their ex-masters and were putting in their first crop. From across the South came reports that the roads were filled with freedmen and women tramping over long distances in search of better conditions or family and loved ones they had been separated from under slavery. But in many places, freedpeople continued to work under their former owners for nominal wages that made little difference in their material well-being. For some, including freedwomen with young children, the aged, and the sickly, life could actually become more precarious, as planters reacted to new free labor arrangements by leaving the most vulnerable former slaves to patch together a bare subsistence as best they could, or to die in hunger and squalor. These variations in freed slaves’ experiences make it necessary to move away from broad generalizations about the African American experience after the Civil War. Instead, After Slavery seeks to uncover both the shared elements in black life across the South and the varying capacity of freedpeople to mobilize in pursuit of their own priorities. When we pay close attention to both the wider regional contexts and the way freedom unfolded at a local level, we can identify a number of key factors that shaped on-the-ground experiences during Reconstruction. In areas where freedpeople outnumbered whites significantly, or where their concentration in large numbers on plantations meant that they were only lightly supervised by whites, the ability to shape the post-emancipation social order could be significant for African Americans. In these exceptional surroundings, freedpeople were able to maintain a degree of power, even after the collapse of Reconstruction. In rural areas, freedpeople tended to be more energetic in pressing their grievances when they were in the vicinity of federal garrisons, black troops, or a Freedmen’s Bureau post. They could not afford to be as assertive in isolated settlements out of the reach of authorities. But even here the picture was inconsistent: sometimes the presence of an especially courageous or adept Local Union League official, minister, or militia captain could compensate for other disadvantages. A substantial population of white Unionists—as could be found in western North Carolina—could also temper white violence and open up potential areas of interracial political cooperation. In selecting the resources for the After Slavery site, we have selected materials that offer vivid insight into the richly textured struggles of freedpeople, from the broader national context to these influential local variations. 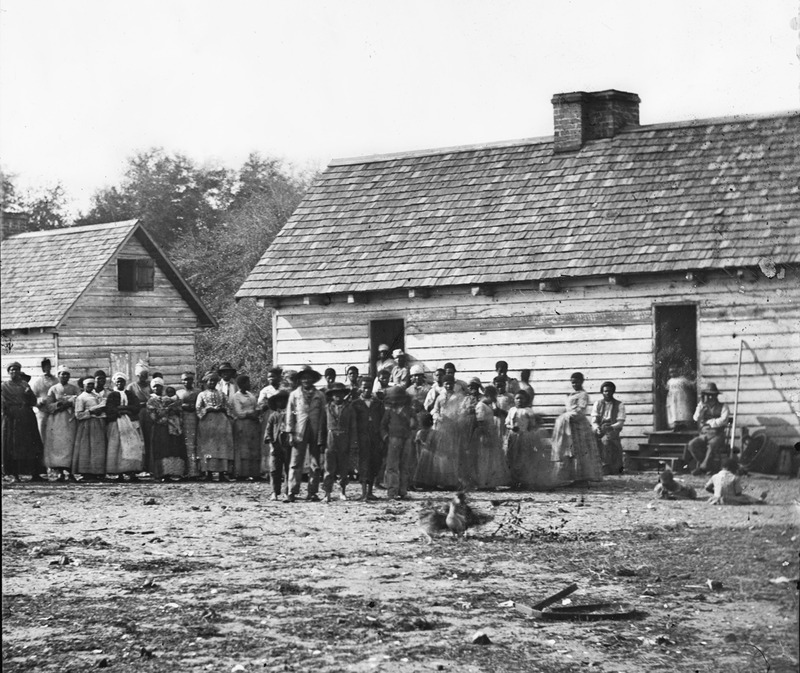 The varied experience of Reconstruction across North and South Carolina offers powerful insights into what After Slavery project partner Susan O’Donovan calls the “multiple configurations of freedom” across the post-emancipation South. Together these states serve as striking examples of the economic, demographic, and geographic diversity of the region as a whole. South Carolina was one of two states with a black majority in 1865 (the other being Mississippi), while in North Carolina, freedpeople made up just over a third of the population. Both states included coastal lowcountry regions with dense concentrations of former slaves, and hill or mountain regions where non-slaveholding whites were the majority. The Carolinas also included large staple-producing southern plantations, as well as important port cities, market towns, and industrial settings. Throughout Reconstruction, South Carolina endured a bitter, quasi-military confrontation that by 1877 brought an end to the bi-racial Republican government and restored power to outspoken proponents of white supremacy. North Carolina was also deeply convulsed by white paramilitary violence, but here the geography of violence was more complicated: in the maritime eastern portion of the state, deep-rooted political mobilization among former slaves acted as a check on white extremism, while to the west divisions between whites meant that Klan violence targeted both freedpeople and white Republicans, provoking opposition on both sides of the color line. In South Carolina, black participation in formal politics was effectively sidelined after conservatives returned to power in 1877, while in North Carolina political cooperation between freedpeople and dissenting whites persisted until 1898. The differing experiences of former slaves and their white allies in the Carolinas reflects, in microcosm, broader trends that scholars of Reconstruction have uncovered across the South as a whole. The educational resources linked to each exhibition unit in After Slavery make possible a close examination of the documentary record for the history of Reconstruction in these two states. Transcriptions of primary source documents and instructive lesson plans offer students and educators an opportunity to grasp the broader significance of Reconstruction in U.S. history, while also gaining a sense of the complexity and enduring importance of this key historic time period on a local level.